When you place the same order every few weeks it could take time finding your products on the app every time you wish to order. The wishlist may be a shortcut as decribed in one of the previous sections. An easy way to duplicate an order is to press the three horizontal bars and then menu. One of the options here is order history, press this. 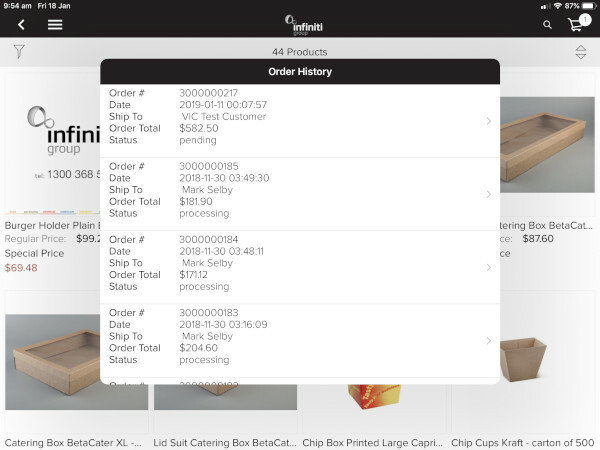 When you then see your order history, you can select which order you wish to duplicate. Press at the bottom Add items in this order to your shopping cart to add the items to your shopping cart.